Looking to Sell Your Old, Used or Unwanted Truck? Look No Further! Cash for Cars Adelaide Offers Top $$$ for Trucks of All Makes and Conditions! Call before you repair your truck for sale. 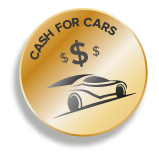 Cash for Cars Adelaide makes top cash offers for all makes & conditions of trucks. fact, it only takes picking up the phone to contact us for a cash quote or filling out our online form located at the top right of this page. With Cash for Cars in town, you have a truck buyer within minutes of contacting us. We are truck buyers that buy standard and automatic transmission trucks of any make and condition. If you have a truck that you would like to sell, don’t go to the expense of repairing it. Don’t spend hours cleaning and polishing the truck. Contact us with the details of the truck to let us make you an offer for your unwanted truck. We have a tendency of surprising truck owners with quotes a bit higher than they expect, which typically leads to the quick sale of their trucks to us. Get our best or highest cash offer for your truck by calling us today. Sell truck, and a Free Truck Removal follows. We are truck buyers that include free truck removals in Adelaide when we buy trucks. With quick and convenient truck removals there are no hassles when selling vehicles. Whether you are parked in the City of Adelaide, Burnside, Campbelltown, or some other suburb in Adelaide, we will provide a courtesy truck removal. Our removals are quick and convenient and scheduled only for times that fit into times that are convenient for our customers. Cash for Cars Adelaide has become a top-rated truck removal company because we are fair with payouts and provide stellar services. We are a truck removal company that pays instant cash for trucks. We also provide our customers with a crew that caters to their every need. Our customer service representatives are second to none, keeping our customers informed and answering all questions and handling all concerns. Our team of appraisers are knowledgeable and provide our customers with the peace of mind that they have obtained accurate quotes for their trucks. We also employ many highly trained technicians that are the face of Cash for Cars Adelaide, serving our customers with the buying and removal process. We are a team of qualified specialists that love our business of buying trucks. With us, you have a truck buyer that will buy your truck for a reasonable cash amount today. Get in touch with us so we can tell you what we will offer you for your truck for sale. For a sell truck cash quote, please contact us at the number below. For an online quote, fill out our “Get a Quote” form at the top right of this page. We pay top cash! Get a quote for your unwanted truck by calling us at 0477 413 136.